A disgusting story of sexual abuse is trending online. 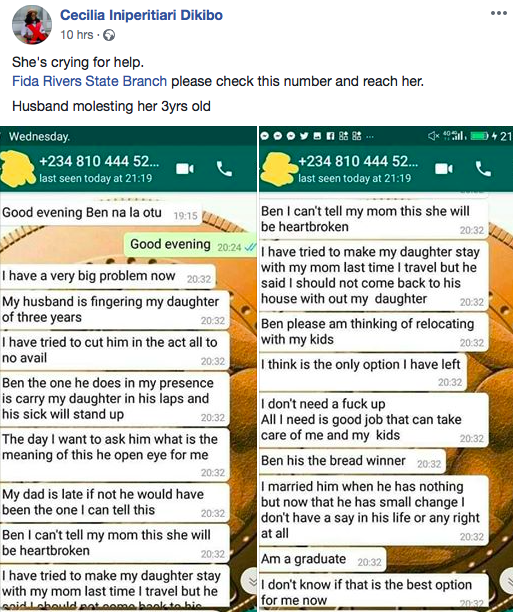 A woman is seeking help to get her daughter away from her husband who is allegedly molesting her. 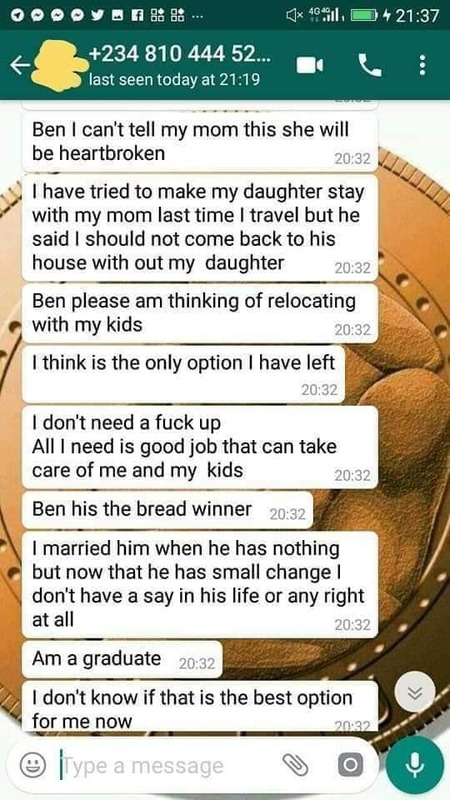 According to Facebook user Cecilia Dikibo who posted the story, the unnamed woman told a certain Ben in a WhatsApp chat that her husband has been molesting their 3-year-old daughter. 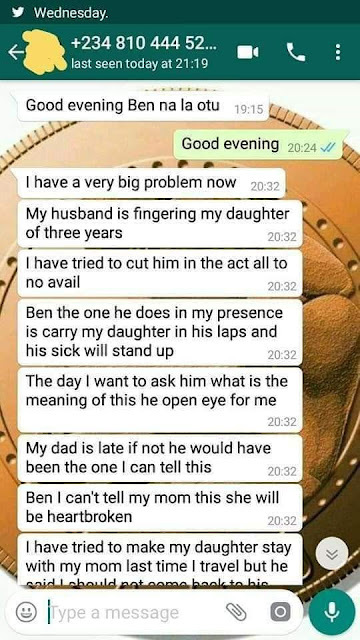 The content of the chat reveal her husband gets erections everytime he carries their daughter. 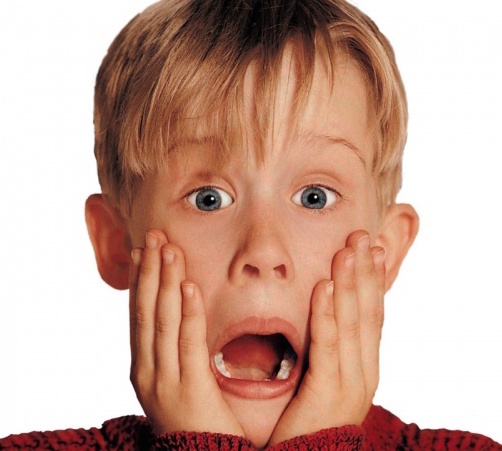 The woman claim to have queried him but he shouted her down. She is seeking help to leave the marriage and start a new live elsewhere with her kids.